Ask our friendly staff about all of the great promotions we have available at Buckleys! 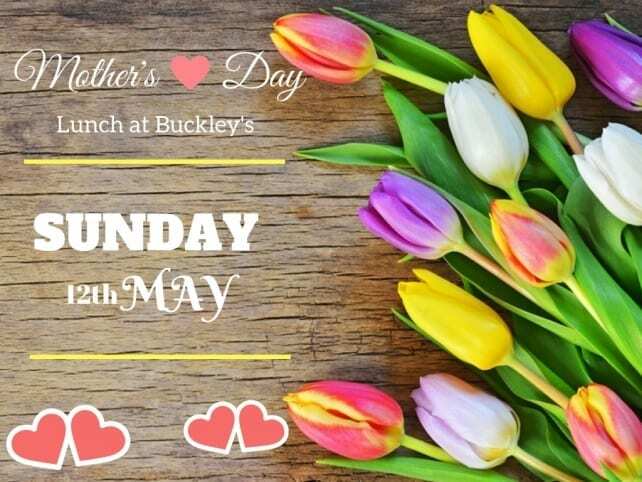 Your mother is celebrating mothers day at Buckleys, will you be here too? Full a la carte menu will be available on the day plus mothers day chef specials! To make mothers day lunch that little bit more special there will be live music from Kevin Mahoney, as well as some sweet treats on the table! Come enjoy Buckley's revamped Parmi Nights! We now have 23 different parmi's to choose from, available every Monday, Tuesday and Wednesday night. From our traditional parmi to the huge double decker there is something for everyone to try. Do you need transport from home to your function? 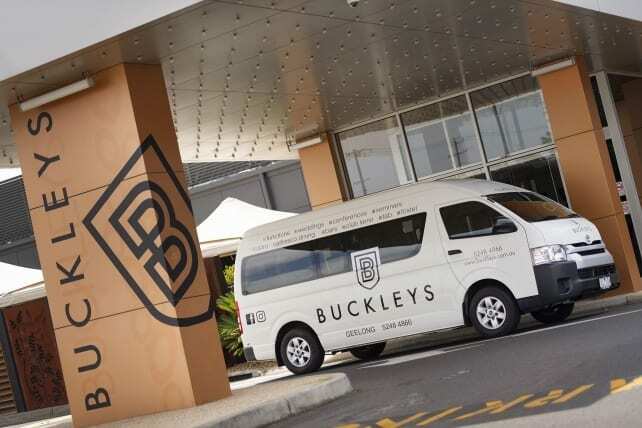 Why not book Buckleys Courtesy Bus? Call reception on 5248 4866 to place your booking. Operates Friday & Saturday from 5.30 to late for Buckleys Members. If you've got a group of friends or are attending a function at Buckleys then please contact us to arrange pick up/drop off. All current and active Buckleys membership numbers go into this draw. The lucky member drawn needs to claim their winnings within minutes of draw or forfeit prize. Terms and Conditions of Promotion are available on request. First draw Thursaday night at 5pm followed by 6pm then 7pm. On Friday the first draw is 6pm the next at 7pm and last at 8pm. Jackpot starting with $500.00 and will increase by $100.00 the following week if not claimed by a lucky winner.